This workshop introduces the RORB program to those with little or no experience. It is aimed at the novice but could also be a refresher for those who haven’t used RORB for some time. The focus of the workshop is introducing RORB through practical activities. Training consists of lectures, exercises and case studies. The lectures are based around the RORB user manual to assist participants to understand the purpose and limitations of RORB and gain familiarity with the program documentation. Exercises focus on specific aspects of the program while the case studies lead students to solve practical hydrological analysis and design problems using RORB. The workshop includes an introduction to new RORB features that have been introduced for compatibility with Australian Rainfall and Runoff 2016. This intensive workshop, presented by Tony Ladson runs from 9 am to 5 pm. Knowledge of how to obtain further information. Tony has 30 years’ experience in hydrology and water management and has worked on projects throughout Australia and in the US, Taiwan and PNG. He has a PhD from the University of Melbourne and a Master of Science from the University of Minnesota. 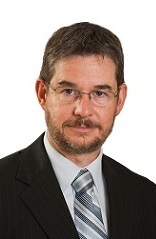 As well as being a Director of Moroka Pty Ltd, he is an adjunct Associate Professor at the Victoria University, an honorary fellow in the Waterway Ecosystem Research Group at the University of Melbourne and a teaching fellow in the Department of Civil Engineering at Monash University. Tony has worked extensively on flood hydrology including development of a flood prediction system for the Gippsland Lakes, assessment of flood severity, design and delivery of flood recovery works and hydrologic modelling including estimation of model parameters, areal reduction factors, losses, temporal patterns of rainfall and design flood hydrographs. He has also worked in flood response, providing advice during flood events. Tony has developed, organised and delivered training courses on flood management to professionals and taught a post-graduate flood hydrology unit at Monash University. Tony has more than 100 refereed publications, has completed a book on Australian Hydrology for Oxford University Press, and is a contributor to the revised edition of Australian Rainfall and Runoff (Book 4 Chapter 2). In 2005 he received the GN Alexander Medal from Engineers Australia.